Every year, we take a lot of family photos in Logan Utah and the surrounding areas. 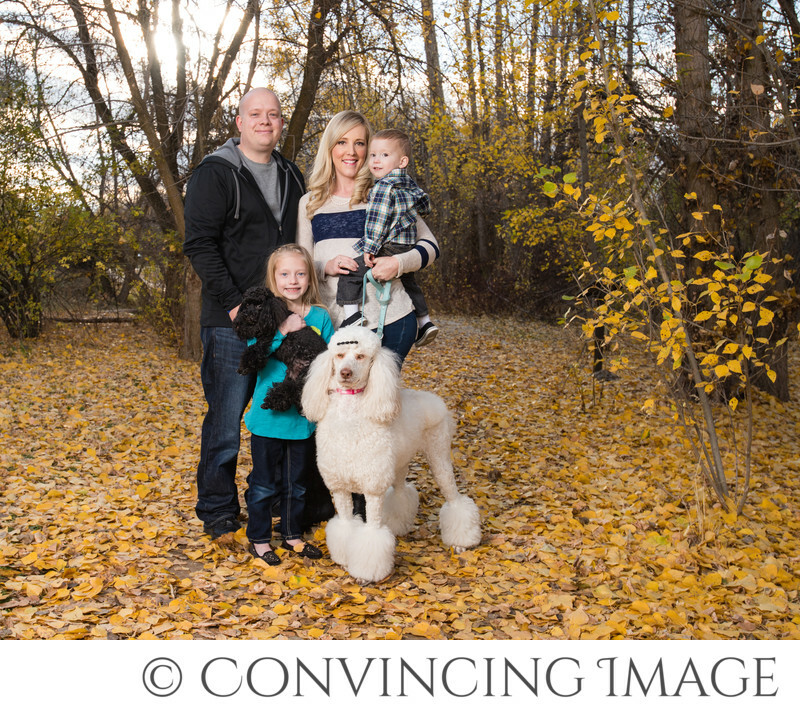 Well, for some reason in 2015, many of our fall family sessions included their dog or dogs. I found it interesting, but it was a fun challenge. It's one thing to get a handful of small children to look at the camera, but add in dogs and you've got a whole separate challenge. There are a few things that helped the dog situation to go a little more smoothly. Let me share some tips with you on how to have a successful family photo shoot including your pets. First of all, make sure the weather is comfortable for pets. It's not a big deal if they're panting... in fact, I think it's kind of cute to see their tongues. But if it's too hot or too cold, they will be more likely to want to run around. Also, if they have a favorite toy or something that makes noise that you can bring, please bring it! Finally, the last tip is to be patient. Dogs can be harder than kids at times to photograph. It's okay. Take a deep breath and don't get worked up. Animals sense anxiety and frustration and (like kids) will feed off of that. So be calm and let us do the work! Location: Denzil Stewart Nature Park, Logan, Utah.